In Made to Stick: Why Some Ideas Survive and Others Die, a bestselling business book, authors Chip and Dan Heath dedicate an entire section to the importance of storytelling. Chip Heath, a professor of organisational behaviour at Stanford Graduate School of Business, describes an exercise he carries out each year with his students, where they are asked to give a one-minute speech on some serious issue. Each speech is rated by the class, and in the immediate aftermath, the most polished speakers invariably get rated high. The exercise seems to be over, and the class turns to other pursuits, when suddenly they are asked to remember each of the speeches. The result? 63% of the students remember the speech which told a story while only 5% remembered the statistics. Half an hour after reading this paragraph, are you going to remember this story or the statistic at the end of it? Think about it! Corporate storytelling is one of the biggest buzzwords in the business world today, and many organisations are adapting it in different ways. We at Sideways take this a step further by incorporating it in our training and helping organisations find huge power in the smallest of their stories. 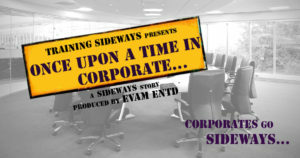 IBM has successfully used corporate storytelling in internal communications for over a decade. A variety of workshops with teams working on different products are conducted, and the teams share their stories with each other. Be it a successful product or a failed one, employees gain more perspective and knowledge than they would have with a mere presentation of facts. Stories of the organisation’s values and goals are told, and top level managers and the CEO tell stories of their personal journeys to foster a sense of belonging. Similarly, Microsoft has extensively used the philosophy of storytelling in their marketing by urging employees, partners and suppliers to tell their stories rather than drone on about their products. Storytelling forms the core of any new announcement, be it Satya Nadella’s becoming the CEO or a product launch. Many other globally renowned companies also incorporate storytelling such as BUPA, Caterpillar, HP, Cisco etc. Earlier this year, we worked with over 60 employees of Microsoft, from the newly joined to senior VPs, on various aspects of Diversity & Inclusion – gender, LGBTQ, intergenerational diversity and so on. 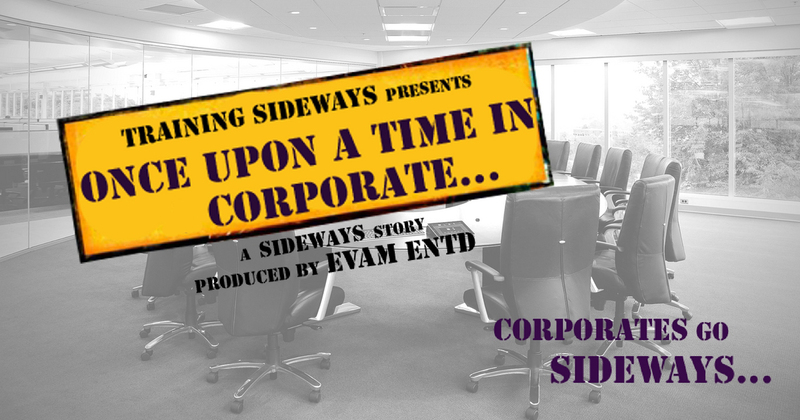 Three professional actors prepared a first person narrative based on actual stories of the employees in 3 acts. Any 2 of the acts were performed and the participants were asked to discuss what the other act could have been, i.e. what the beginning or the middle or the end could have been. This led to conversations about existing conflicts and possible solutions. These solutions were then performed by the participants as stories. Storytelling brought out Diversity & Inclusion related issues and drove meaningful conversations that effected a positive change in the functioning of the organisation. Over 80 people from the marketing services team of Accenture went through a film stories workshop where the idea of the 3 act structure was used to discuss their Client Impact Stories. How does the presentation you make to a client impact them? How do you construct that presentation into a story that you can tell from the client’s perspective? Incorporating different types of storytelling in issues they deal with every day, and using it to drive memorable conversations with clients and within the organisation was the key takeaway. At the annual offsite of GroupM, we used storytelling to help them make more effective brand pitches in the increasingly competitive digital space. Identifying the content of the story, its medium, the storyteller, and how these decisions must be made keeping the audience in mind was the main theme. We started the workshop with a group of brand managers but ended it with captivating storytellers! Storytelling is one of the most effective means of communication which can take many elements of an organisation to a whole new level. A presentation with 56 slides or a story from the CEO; what will inspire you and help you connect with the brand and the organisation? Stories can give businesses a human element, a memorable image that instantly connects with their culture and philosophy. “This is the role stories play – putting knowledge into a framework that is more lifelike, more true to our day-to-day existence. Being the audience for a story isn’t so passive, after all. Inside, we’re getting ready to act.” – Chip and Dan Heath.